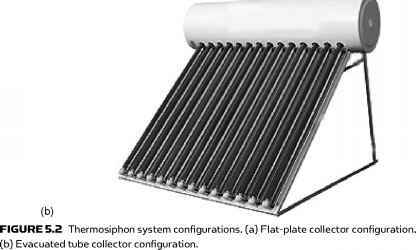 The direct gain system is the simplest way of achieving passive heating. In this system, sunlight enters through windows or skylights and is absorbed by the inside surfaces of the building. In a direct gain system, thermal collection, dissipation, storage, and transfer of energy take place within the habitable space. This is the most effective of all passive concepts from the point of view of energy collection and simplicity. Additionally, this system allows the use of sun for lighting (daylight). Control of the system is very simple with the use of curtains and venetian blinds. 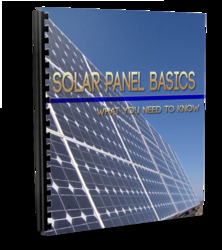 The most serious drawback of the system is the possible deterioration of certain materials from sunlight. Generally, daylighting is the illumination of the building interiors with sunlight and sky light and is known to affect visual performance, lighting quality, health, human performance, and energy efficiency. In terms of energy efficiency, daylighting can provide substantial energy reductions, particularly in non-residential applications through the use of electric lighting controls. Daylight can displace the need for electric light at the perimeter zone with vertical windows and at the core zone with skylights (Kalogirou, 2007). FIGURE 6.6 Various sunspace configurations. using thermochromic windows, in which the reflectance and transmittance properties change at a specific critical temperature. At this temperature, the material undergoes a semiconductor-to-metal transition. At low temperature, the window allows all the sun's energy to enter the room; above the critical temperature, it reflects the infrared portion of the sun's energy. Hence, thermochromic windows could be used to significantly reduce the thermal load of buildings. The use of windows for space heating can be done with the normal building windows or with sunspaces. Sunspaces are usually special rooms made from glass attached to a normal building room, located in the south direction. The sunspace carries out the functions of thermal collection, storage, and transfer into the normal building spaces. There are three types of sunspaces, as shown in Figure 6.6. The first uses just the south side of the building, the second uses the south side and part of the roof of the building, whereas the third is a semidetached heating system for the main building and, in many cases, can be used as a greenhouse for growing plants. In the last type, because a sunspace is partially isolated from the main building, larger temperature swings can be accommodated in the sunspace than in a normal living room. The amount of energy received by the window surface is presented in the next section. When designing a sunspace, the objective is to maximize the winter solar radiation received and minimize the summer one. When the sunspace is integrated into the house, good night insulation has to be installed to protect the building spaces from excessive heating losses through the glass. If this is not possible, then double glazing should be used. The optimum orientation of a sun-space is due south with variation of up to ±15° east or west being acceptable. Vertical glazing is preferred over sloped glazing, because it can be sealed more easily against leakages and reduces the tendency of sunspaces to overheat during summer. The performance of the vertical glazing, however, is about 15% lower than that of the optimally tilted glazing of equal area. A good compromise between vertical and sloped glazing is to use vertical glazing with some sloped portion (part of the roof), as shown in Figure 6.6b. In hot climates, where ventilation is a must, this can be done from the upper part of the sunspace. Therefore, the sunspace must be designed in such a way as to allow easy opening of some upper glass frames for ventilation. window, (b) general case of tilted window. Overhangs are devices that block direct solar radiation from entering a window during certain times of the day or the year. These are desirable for reducing the cooling loads and avoiding uncomfortable lighting in perimeter rooms due to excessive contrast. It would generally be advantageous to use long overhang projections in summer that could be retracted in winter, but in "real" buildings, the strategy is based not only on economic but also on aesthetic grounds. where ac = solar altitude angle relative to the window aperture (°). 0c = incidence angle relative to the window aperture (°). (3 = surface tilt angle (°). L = latitude (°). 6 = declination (°). Zs = surface azimuth angle (°). For the case of a vertical window shown in Figure 6.7a, where the surface tilt angle is 90°, the angle ac is equal to the solar altitude angle a; therefore, Eqs. (6.55) and (6.56) become the same as Eqs. (2.12) and (2.19), respectively.